Eyelid surgery (technically called blepharoplasty) is a procedure to remove excess skin and fat from the eyelids. Eyelid surgery can correct drooping upper lids and puffy bags below your eyes that make you look older, and may even interfere with your vision. The procedure won’t remove crow’s feet, dark circles under your eyes, or lift sagging eyebrows. Many types of growths can occur on the eyelids. These growths are typically benign, but can potentially represent something more serious such as skin cancer. Skin lesions, even if benign, may become irritated, or if large enough, can affect lid function or block vision. It is important to have your ophthalmologist examine all eyelid lesions to determine if biopsy or excision is appropriate. Many lesions can be removed with a simple procedure in the ophthalmology office. Usually, the specimen will be sent to a lab for analysis. A local anesthesia is used during the procedure and patients can usually return to work the same day. 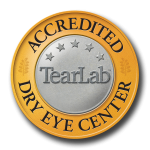 The physicians at The Eye Center are thoroughly experienced in the removal of eyelid lesions and treatment of general eyelid problems. Many wrinkles are actually creases that have been worn into the skin by making the same expression thousands of times. These expression lines, often called frown lines or crow’s feet are due to contraction of a muscle under the skin in that area. Botox® Cosmetic is a purified protein toxin that is injected into the muscle that creates the wrinkle. It blocks the nerve impulse from reaching that area and as a result, the muscle weakens. As the muscle weakens, the skin overlying the muscle relaxes and the wrinkle in the skin gradually softens. Botox® Cosmetic has been used safely in ophthalmology for over 10 years and for wrinkle therapy for over 6 years. Botox® Cosmetic does not affect the nerve, so there is no numbness in the immediate area of injection. The muscles related to other expressions are unaffected. The effects of Botox® Cosmetic usually last 3 to 5 months. After several treatments, the effects of Botox® Cosmetic may begin to last longer, sometimes up to 6 to 8 months. Treatments are performed in the office and take just a few minutes to complete. Deep and persistent wrinkles, especially between the eyebrows, the horizontal forehead lines, and the crow’s feet area are the most common areas treated. Botox® Cosmetic injections appear to be very safe. The most serious side effect that has been observed is either drooping of the eyelid or double vision. This results from weakening of the muscles very close to the eyelid. The complication is temporary and usually resolves within several weeks. To avoid this complication, it’s important to choose a specialist, such as an ophthalmologist, who has extensive training in the anatomy of the eye area. Bruising can also occur at the injection site, but this clears rapidly and is usually gone within a day or so, and is easily covered with make up. No systemic side effects have been noted.